Go here to see a video explanation of the A3 and also to get a Toyota A3 Template Download for Free. This article is about the Lean A3 Problem Solving Method, or sometimes called the Toyota A3 Report. Other articles on Lean Manufacturing can be found below. Continue past the Toyota House to read the rest of this article on the Toyota A3 Report. Most problems are dealt with in superficial ways. Very few people and organizations actually arrive at the root cause of their problems. At Toyota, they employ Root Cause analysis in almost everything they do. One problem solving approach they employ is the Lean A3 Problem Solving Method. A3 is a paper size, typically 11″ x 17″. There are actually several A3-type paper sizes, and Toyota believes that when you structure your problem solving around 1 page of paper, then your thinking is focused and structured. Whenever the way work happens is not ideal, or when a goal or objective is not being met, you have a problem (or, if you prefer, a need). The best problems to work on are those that arise in day-to-day work and prevent you from doing your best. Create a diagram that shows how the work is done – a value stream map will be helpful here. Quantify the magnitude of the problem (e.g., % of customer deliveries that are late, # of stock outs in a month, # of errors reported per quarter, % of work time that is value-added); if possible, represent the data graphically. Once you have a good understanding of how the process (i.e., the one that needs to be fixed) currently works, it’s time to figure out what the root causes are to the errors or inefficiency. To accomplish this, first make a list of the main problem(s). 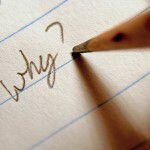 Next, ask the appropriate “why?” questions until you reach the root cause. A good rule-of-thumb is that you haven’t reached the root cause until you’ve asked “why?” at least five times in series. Create clear, direct connections between requestors and suppliers of goods and services. The countermeasure(s) addressing the root cause(s) of the problem will lead to new ways of getting the work done, what we call the target condition or target state. It describes how the work will get done with the proposed countermeasures in place. In the A3 report, the target condition should be a diagram (similar to the current condition) that illustrates how the new proposed process will work. The specific countermeasures should be noted or listed, and the expected improvement should be predicted specifically and quantitatively. In order to reach the target state, one needs a well thought-out and workable implementation plan. The implementation plan should include a list of the actions that need to be done to get the countermeasures in place and realize the target condition, along with the individual responsible for each task and a due date. Other relevant items, such as cost, may also be added. Below is an example from an A3 project. The context for the A3 Report below is around the question “Why was the end-of-shift clean-up not being completed?” This question drove the team to follow the A3 method and subsequent root cause analysis to arrive at the root causes and implement solutions. This activity below was done proactively done by the team with full support from management. My name is Chris Schrandt. I worked for Toyota for just over nine years, from the years of 1988 to 1997. I worked at the Georgetown, Kentucky, assembly plant. My position at the plant was I was originally hired in as a quality engineer and then ended up being one of four quality engineering managers. My favorite lean tool or TPS tool, that’s probably, of all the questions, the most difficult, because there so many, right? Again, the elimination of waste is what it’s all about. 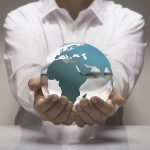 So if you consider the tool of recognizing what are the wastes of a process, that’s very powerful, but then using the value stream mapping tool to uncover those wastes. Once you uncover them, then the tools of built in quality, of course, quality being my background, is one of my favorites. But then, also, standardization, extremely powerful in solving the problems that you uncover with the value stream mapping. And then, of course, without teamwork and 5S, none of that’s possible. So that’s a tough one. Favorite tool, all of them. The answer to this one, how does Toyota implement the idea of continuous improvement? And there’s three other questions, how about 5S and how about . . . ? At Toyota, I don’t ever recall thinking about them as a tool. It’s how we did the work. It was always that thinking of how we will do things better. I mean, of course, the word Kaizen was used quite a bit. But again, it was just the culture. It wasn’t something that taught as a tool. It’s how you did the business. Same as 5S, it’s how you did your work. The idea of respect for people, the concept of respect for people is most evident in the fact that everyone is empowered. Everyone’s opinion matters. Everyone is expected to participate in continuous improvement, in doing their own job, how can I do my job better? So again, part of the culture. You were always treated well. Fujitsu [Fujio] Cho, who is now the current or was the CEO of global Toyota, was our first plant manager there. And he would hold the door open for an hourly worker the same as he would for anyone else. I mean it was just tremendous amount of respect for each other. And then again, you were not only empowered, but expected to participate in the process of continuous improvement. Before Toyota, I worked for a defense contractor making parts to launch nuclear weapons. It wasn’t very rewarding. But what was interesting is is that I used to regulate-, it was a union factory, okay? And it was my first job after college. And so I was always in trouble at that plant because I was doing things against their policies. Well, it turns out I didn’t realize it was completely in line with how Toyota works of go and see and involve people involved in the project. So that was very interesting to learn that the things that I was always in trouble for at a union facility was completely the right way to behave at Toyota. Well, in there I had many senseis. We had a very interesting system there of . . . When I first joined, we were fairly small organization. And every single person had what they called coordinator was the name for the Japanese sensei. Then of course, as we grew, we couldn’t have someone there as your sensei. 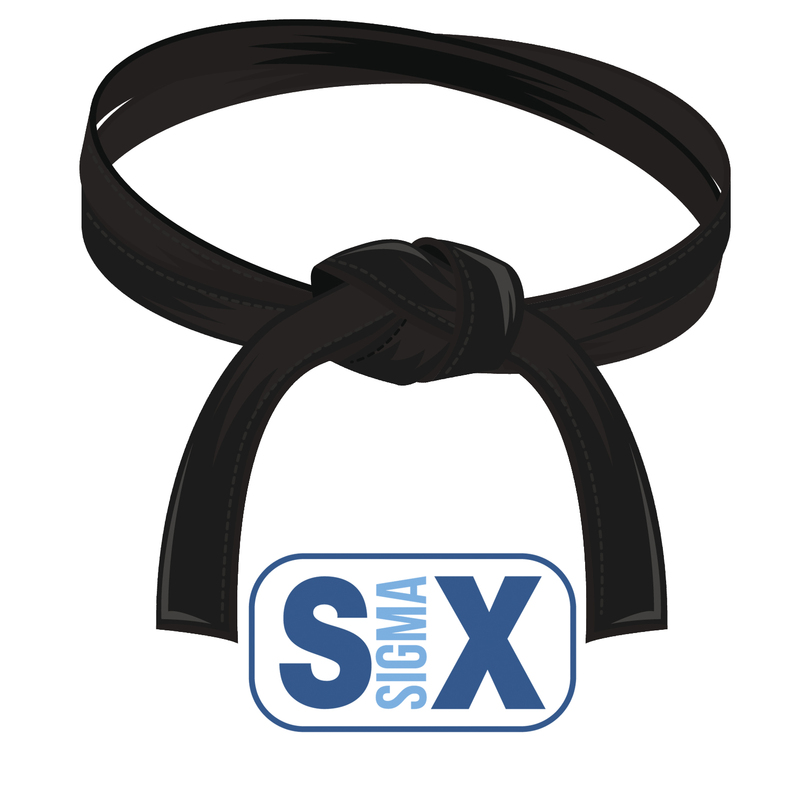 But finally, every manager level would always have a sensei. So again, I had many there. Unfortunately, it’s a very tragic story of the gentleman who was my sensei the longest. He’d been my sensei for a period of two years and then was gone for two years and came back. And then when he was at his second stint there, he was killed in a plane crash in Detroit on his way to the Detroit Auto Show. His name was Keita Takanami. And again, very strong personality, we fought all the time. It really wasn’t until years later trying to teach others what he taught me that I understood the brilliance of what he was teaching me. I was always butting heads with him. But again, it was like unbelievable what I learned from him. Again, it was a lot about discipline. I learned everything about the A3 and problem-solving from him and tricks to do a good A3. Oh my gosh, one time, we worked on an A3 probably for a month non-stop, till we got it just right. And again, things that I thought were just nitpicky had a very strong meaning behind them of being concise and not using words. Use diagrams, use charts, use pictures, things like that. Again, I just thought he didn’t like English because he couldn’t read English. No, it was because it made the presentation, the A3, much better for anyone to understand it without a lot of words. Just one small example really. I would say this. Technology is secondary at Toyota. And recently, I read or saw an article that’ll express this much better than I do. But again, it’s a tool and they’re not interested in what’s the latest and greatest. 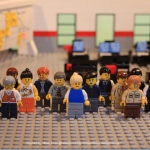 Technology needs to support the people, and it needs to be proven before you implement it. An example is in five years after we had opened up the first plant, Phase 1, we built a second plant, okay, double the capacity of the plant. And I was part of the team responsible for getting all of the test equipment, all of the end-of-the-line complete vehicle testing equipment. I was part of the team to pick who provided it, what was provided, etc. Well, we’d go to the local Detroit manufacturers who supplied Fords and GMs. And they’d want to sell us on all the latest technology that everyone was using. And we were like, “No, we don’t want that. We want this old stuff, because it was proven,” and that we knew it was reliable and we knew it would work. So it was very interesting. It was like, “Why aren’t we using the latest and the best now?” It wasn’t the case. And I think, again, there are some things that the technology made the parts of the tools of TPS work, like making Single Minute Exchange of Die, requires a great deal of technology to make that happen, okay? But you don’t need to automate everything. The assembly process was virtually un-automated. And then even since I’ve left, I know that they have gotten away from even putting too many robots in the body shop, because they have more flexibility with people. So again, lot of words to say. It’s secondary. It’s not all about robotics. It’s not all about the latest technology. Again, teamwork, 5S, continuous improvement, it’s just the way you work. Teamwork is used sometimes as a positive as well as a pressure, right? It’s peer pressure also. You have teams where you have on-the-line groups, where you have five or six team members and one team leader and you don’t have a replacement pool. So there is a team, and we all work as a team. But it’s also if someone’s not there, right, someone else in the team, like the team leader, has to fill in for them. And that puts a lot of pressure on the rest of the team. So it’s a combination of, “Okay, we’re one group. We understand each other’s work. We have good cross-training.” But it’s peer pressure also to come to work and be on time and do your job properly. The Toyota training process is . . . I witnessed many different evolutions of it and many examples of it. When I first joined Toyota as a engineer, a salary employee, I was sent to Japan for four weeks and received extensive training there. Then again, when I came back to the U.S., I had my sensei. I had my coordinator with me for six months, who was full-time, right? Well, that was just that first year when we got started. Later on, of course, we didn’t have the resource to have that kind of training. But I heard stories about how when the salary employee in Japan was hired, the first thing they would do is go six months, they would go door-to-door and sell Toyotas, right? How incredibly powerful is that to have to go and sell the vehicle? And then when they would come back from that, they would go and work on the shop floor for six months, right? The most we could ever do training like that was for a couple of days to get an engineer out there. And in a union facility like General Motors, of course, we couldn’t do that at all. But I tell you what, you gain respect for what the people are doing. Now, regards to how training evolved at Georgetown for the hourly workers, at first, we would have two weeks of training, and you were on the line. Well, what happened? We ended up with carpal tunnel, a lot of problems with that. And now again, I left 12 years ago. How they do it now, I’m not sure. But it ended up being a six-month program where, hire, you would have classroom training, what’s Toyota production system. But it was also exercises and stretching and strength so that you could go to the line and be able to do the job. Again, mainly is a response to so many carpel tunnel issues. So it was a demonstration really of continuous improvement. They started out. They hired a lot of young kids from high school. And everything was fine. But five years into it, wow, everybody’s got carpal tunnel. So what do we do? And they learned and expanded the training program. What is Toyota’s greatest strength? To be honest, it just comes back to discipline and hard work. They took great ideas. Some of them they developed their own. Of course, some they took from Deming, some they took from Ford Motor Company. But they had the discipline to say, “We are embracing these ideas, and we’re really going to do it. And it’s not just today, and it’s just not tomorrow. It’s continuously having the discipline to follow those rules, those tools, that culture, okay? And it’s hard work. I mean it is a lot of work through the work ethic. I teach people that the Toyota production system, you can use it in any culture. There’s no reason one culture is more able to implement it than another. However, the work ethic in Japan was much different. There, someone to work 12 hours a day as a salary employee was the norm and expected, okay? So the second part of it, discipline was the hard work. I mean it really was hard work. There was no magic. There was no just these are great ideas, or we just easily design great vehicles, and they go together easily. It was a lot of hard work. So really, discipline, hard work, that they apply to all of the good thinking methods that they have. A nice summary of the A3 approach. I think that the A3 approach offers a structure to view a problem through the eyes of the customer and forces an understanding the current condition before jumping to a solution. 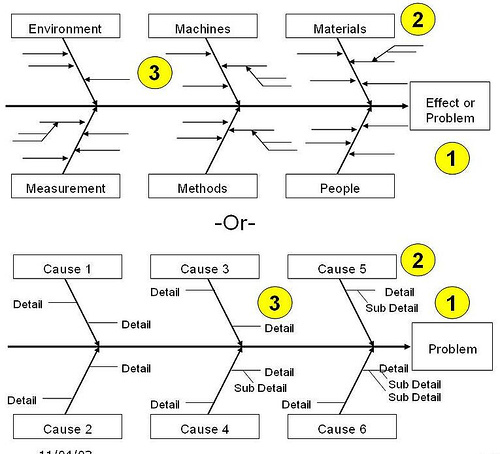 I discuss how the A3 approach can be integrated with the DMAIC framework on my blog. On my blog, I posted a link to the recent WSJ article that showed Toyota showing the LAPD to use an A3 report. Good stuff. I still have an A3 from our tour of the parts distribution center and often refer to it. [link redacted by site owner] there is 2 downloads one is a word doc. hope this helps. 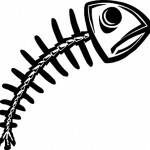 I’ve seen 5-Why’s and Fishbone diagrams used before but never heard about the rest of the A3 process. This is excellent. You explain the Toyota problem solving process in a simple way. 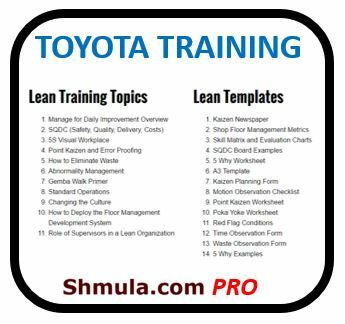 Great work and excellent site on Lean Training and Lean Manufacturing! In Brasil my home town, there are many practitioners of Lean Manufacturing. I have worked in 3 different factories and I saw Lean process in each one, but they were done differently but the same. In some, A3 was used. In others, just Kaizen newspapers. But same output. Yes, you’re right. The important thing with the A3 is that it is rigorously followed and that it becomes a means of communication as well as a vehicle for learning (and communicating). Thanks much. A3 is great for lean and makes lean training easier to do. But, in some countries (like India for me), printing on an 11×17 size paper is not practical. Any advice on how to do A3 without having to print such big paper? The A3 is both a method and a means of communication. The actual paper size of 11×17 is really not that important. What is important is that the A3 process is followed – a teacher with a student – and that each of the steps is rigorously followed. Reporting the results at the end – that actual 11×17 printout is the very last thing you should worry about. The ability to see all the information and approach on 1 sheet of paper is very beneficial, but where it’s not feasible, then adjust. 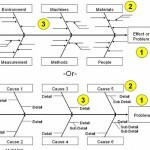 Pretty good article, you cover the basics of the A3 concept as a problem solving methodology that has to be followed rigorously (although A3 can also be used for other things, not only Problem Solving). 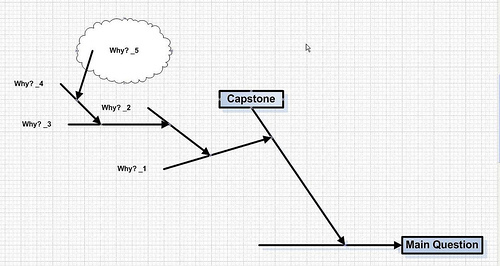 One thing about the video though, is that it’s missing a key ingredient of A3, which is the Gap/Root Cause Analisys. You can’t go from Target State to Action Plan, even if this is a Proposal A3… that’s my point of view at least. the video is missing a key ingredient: Gap / Root Cause Analysis. You can’t jump from target state to action plan without knowing your root causes, even if it’s only a Proposal A3. That’s my point of view at least.